The location of the Lviv Fashion Week has been changed. 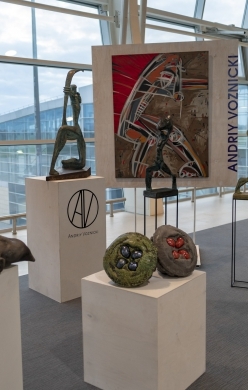 This year, the most large-scale fashion event of Western Ukraine will be held from March 20 to March 24, and the "Arena Lviv" stadium will become the main venue. Therefore, the majority of program events of the Lviv Fashion Week will be held in this sports center. 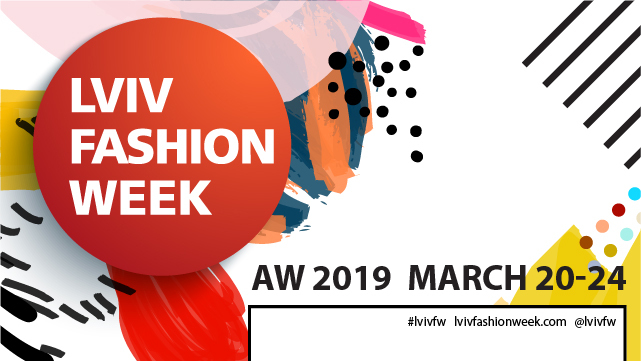 The official opening of the 23rd season of the Lviv Fashion Week will be held in partnership with the "French Spring", an annual cultural event created by the French Alliance in Lviv and the Consulate General of France in Ukraine. The joint opening ceremony of the Lviv Fashion Week, the "French Spring", and the Lviv Art Days art project will be held on March 20 on the premises of the "Lvivarnya" museum and cultural complex, and the honorable guests will include: Ms. Isabelle Dumont - Ambassador Extraordinary and Plenipotentiary of France to Ukraine, Céline Metel - Executive Director of the French Cultural Institute in Kyiv, Vasyl Kmet - President of the French Alliance, and Nicolas Facino - Director of the French Alliance. The show of the Franco-Swiss eco-brand Isagus Extroversions will be the main event at the opening ceremony. The collection by the designer Isagus Tausch will present the current world trend - "sustainable fashion”. The main program of LvivFW is dominated by the following Ukrainian designers with fall/winter 2019 collections: Vozianov, Marta Wachholz, Zahara, Juliya Kros, Kateryna Karol&Synyava, VBRANA by Mykytyuk&Yatsentyuk, Onufriv O., Ivanna Yukhymchuk, Olesya Marchuk&Polivoda, fomenko oleg, LiLi Sas, there will also be debut shows of Olena Oliynyk, KONYK, Anna Myxa, chereshnivska, Oppido, Rimma Donna by RIMMA TURKIYA. 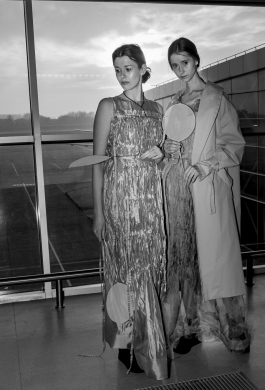 International guests of Lviv Fashion Week will include Italian brands Balossa, Emilio Bonadio, Polish designers Klaudia Markiewicz and Anna Kuzmitowicz with their new collections, as well as fashion event organizers, photographers, and journalists from Italy, Germany, Poland, and the USA. The main schedule of shows and presentations for Autumn/Winter 2019 will be complemented by the educational program and the showroom. The educational program Fashion Talks includes lectures that will be held at the Design House on March 21-24: "Planet-Ecology-Fashion" (Isagus Tausch, designer of Isagus Extroversions), “Branding for fashion industry" (Orest Zagorskyi, Vitamin Branding Agency), "How did the Instagram change fashion industry? Who dictates fashion?" (Nika Huk, Selfish School), "Development of deliberate brands in Ukraine. Conscious сonsumption" (Olesya Vershyhora, AVOSKA, Green Elvis), "Alternative fashion photography training" (Yuriy Kalychak, fashion photographer, who makes photoshoots for Harper's Bazaar and L’Officiel), "Business in the life of creative person. Strategic planning for designers" (Lubov Chernikova, designer of Chernikova), and webinar “Digital technologies at fashion world” (Anzhela Angel, fashion facilitator, The Seamy Side of Fashion). Lviv Fashion Week showroom, in which nearly 30 Ukrainian brands take part, will be held at the main venue in Arena Lviv on March 22-24.